CGI of Old Oak Common. HS2 has confirmed the bidders who have been invited to tender for its two London station construction contracts. 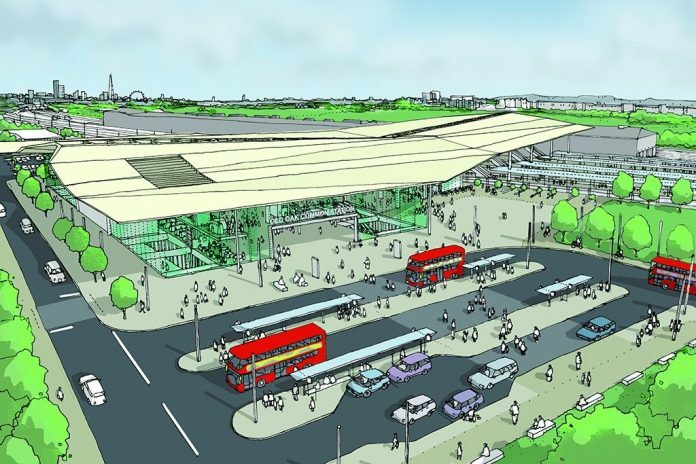 The contracts – released after HS2 published the teams who will design four of its stations – cover construction work at London Euston and Old Oak Common. The winning bidder is expected to be revealed in autumn. Canary Wharf Contractors/MTR Corporation (UK)/Laing O’Rourke Construction. Working with HS2 and the station designers, the construction partner will act as the management contractor, responsible for procuring, integrating and managing the supply chains.